A little over a week ago, we ran a rumor post about the development of Sonic & Sega All-Stars Racing into an arcade game, which would play part of Sega’s celebration for Sonic’s 20th anniversary this year. Today we have confirmation that the game is real and is well-along in development. 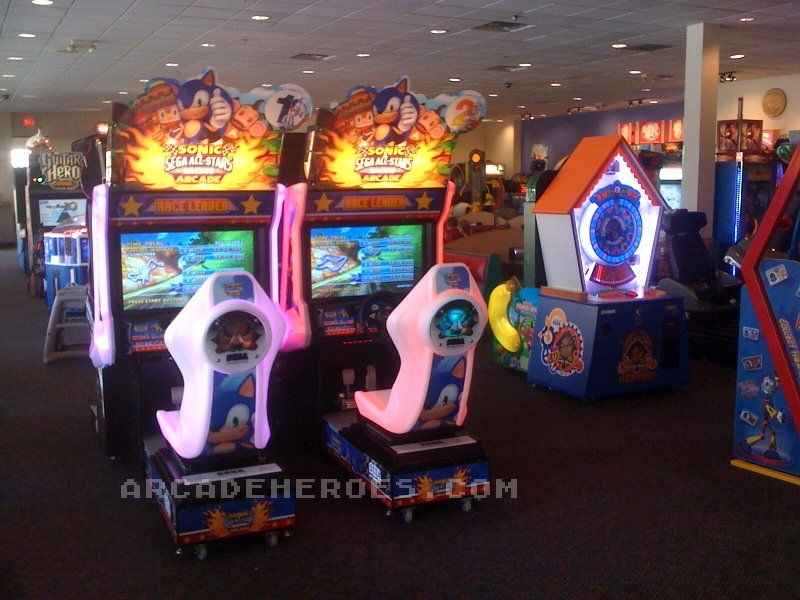 The two pictures you see here are from the Chuck E. Cheese in Skokie, IL where the game is currently on location test for an unspecified amount of time. Only two units are shown linked here, although our original information suggests that the game will allow linking for up to eight units. Click on either image for a full-view. Those are all of the details we have on the game for now but seeing how it’s on test in the US already, it’s a safe bet to assume that the game will be at EAG, a big coin-op expo that takes place next week in London, UK. Arcade Heroes writer Heavy Electricity should be there to grab info about all the games that will be on display there, so stay tuned! UPDATE: I have added a page to the site that details everything we know about the game in one place. Visit it here. UPDATE #2: Sonic & SEGA All-Stars Racing was at the EAG Expo in London and we’ve got a preview of how the game plays, including some new features that Sega has added to the game. Read that here. We also have a video of that (and many other games) here. 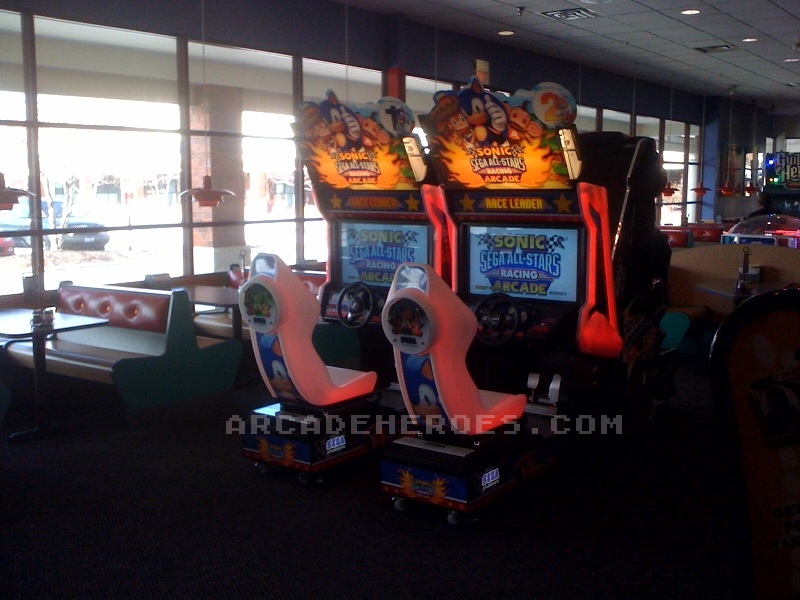 I’m very excited that Sonic & Sonic All-Star racing is coming to arcades. Can’t wait to see it in person. Great to see my favourite game of 2010 hit another landscape (but I still want that PSP port…!). Just saw a test unit at an arcade. Played the crap out of it, it was good. Came in the color changing cab, with Ringwide and XP.